For anyone who wants to learn how to design jewelry - this is the place for you to learn! 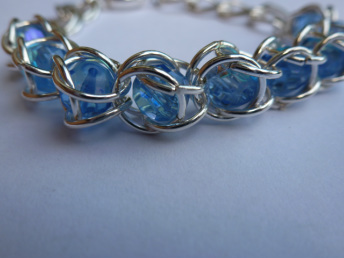 Many different aspects of jewelry design are taught - from simple stringing and crimping to wire wrap, knotting, and bead weaving at affordable prices. Jewelry Design Classes are available in 2 locations. The morning class is held on the first, third (and 5th) Wednesday at the Griffing Center in North Miami. The evening class is held every Tuesday at the McDonald Center in North Miami Beach. Visit the Classes page for more details on times and fees. 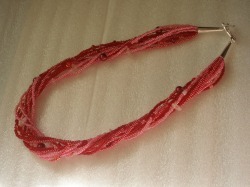 Personal Instruction for Jewelry Design and Polymer Clay are available by appointment. You receive individualized attention to learn how to create jewelry for your own wardrobe. Classes held in your home or office. Visit the Personal Instruction page for more information. Private classes available day or evening Monday through Friday, by appointment. 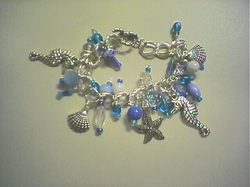 Beautiful jewelry is available for sale from Beadazzled Designs on the Products page. 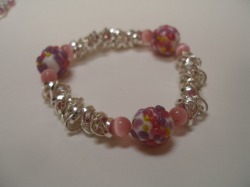 Choose from necklaces, bracelets, earrings, beaded keychains, eyeglass cords and more. All jewelry has been hand-crafted with care. To view other work that I have designed visit the Gallery. Want to learn about crocheting? Visit our related site to learn about Crochet classes at the Griffing Center.